Pendula Swing is an episodic adventure game with RPG elements, set in a Fantasy version of the American Roaring 20s. 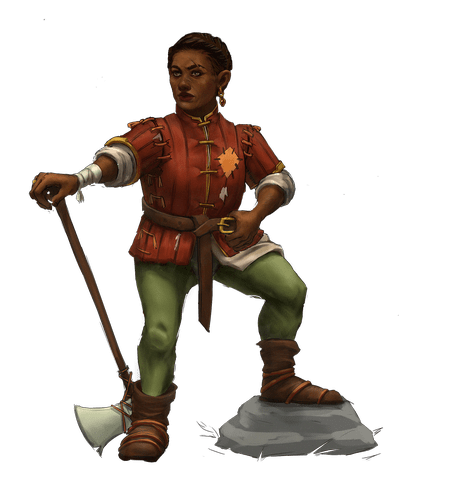 Season 1’s protagonist is Brialynne, a once famous dwarven hero who is forced to return to a world she no longer recognises. Strange music, a completely new fashion, fast moving steel horses and now goblins and orcs roaming the streets in broad daylight?! Unlock areas to discover the town of Duberdon, follow your favourite characters and solve your own burning problem. Pendula Swing Episode One – Tired and Retired – is coming soon on Steam! Read more and get Episode One for free HERE!